How does annotating a text aid in close reading, analyzing literature, and writing about literature? How can you speed up your ability to write timed AP assays? What are some annotation acronyms, and which do you prefer for analysis? Assignment: Annotate the following poem using SIFTS. Then write an introduction to address the following prompt: How does Bradstreet express the emotions she feels towards her husband in the following poem? You may consider her use of figurative devices, imagery, tone, and structure in your response. Those who missed class on Friday, please respond to the Henry VIII prompt. 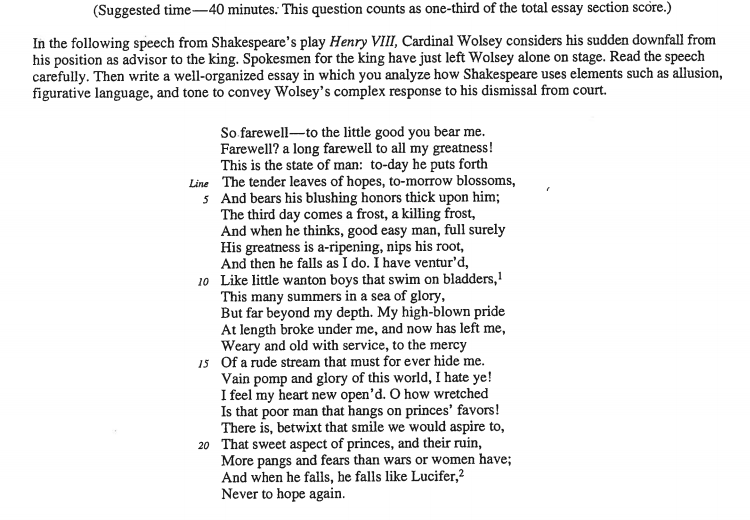 This is the poetry assignment for February 4: Annotate the following poem using TPCASTT. Then write an introduction to address the following prompt: How does Oliver express the journey relayed in the following poem? You may consider her use of figurative devices, imagery, tone, and syntax in your response.